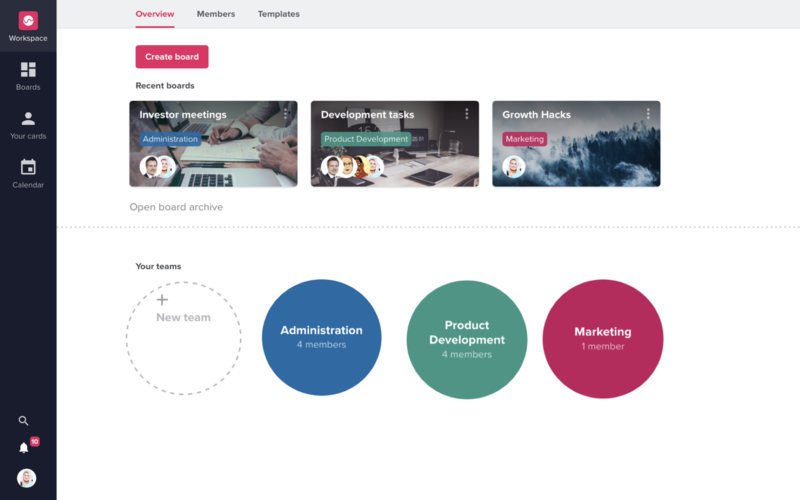 A Team in Upwave is a subset of people in your workspace, who collaborate on projects (boards) with each other. You can create teams for different departments, project groups, external suppliers etc. New workspace members are not automatically added to teams in the workspace; you can either be invited, request to join, or create your own team. 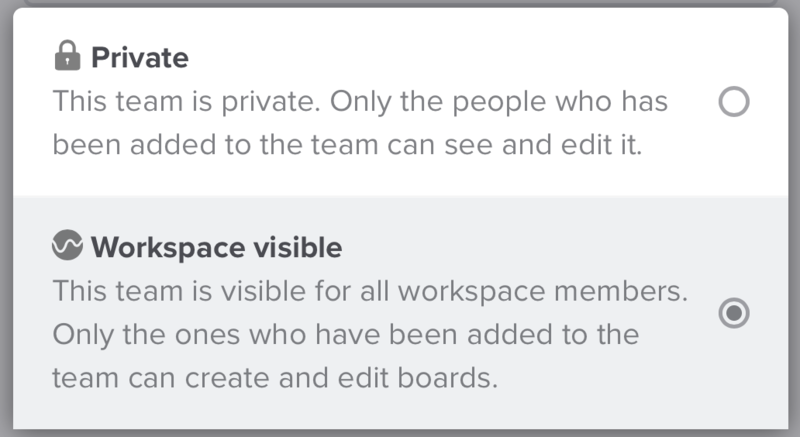 When you create a new team, you can choose for it to be either private or workspace visible. A private team can only be viewed and edited by people who has been added to the team. 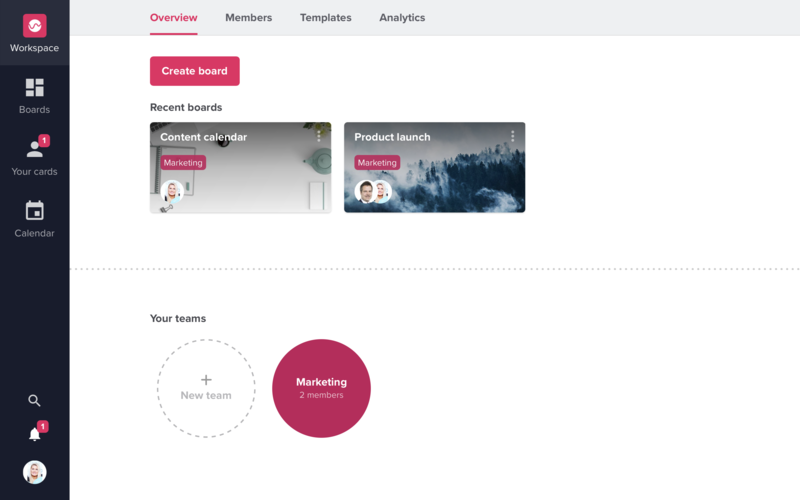 A workspace visible team can be viewed by everyone in the workspace, but only people who have been added to the team can create and edit board. The visibility of a team can be changed in the "Team settings". To access and create teams, go to the click the "Workspace"-icon in the sidebar. Here you will see teams that you are a part of and teams that are visible for the entire workspace. Click on a team to see members and boards inside that team.